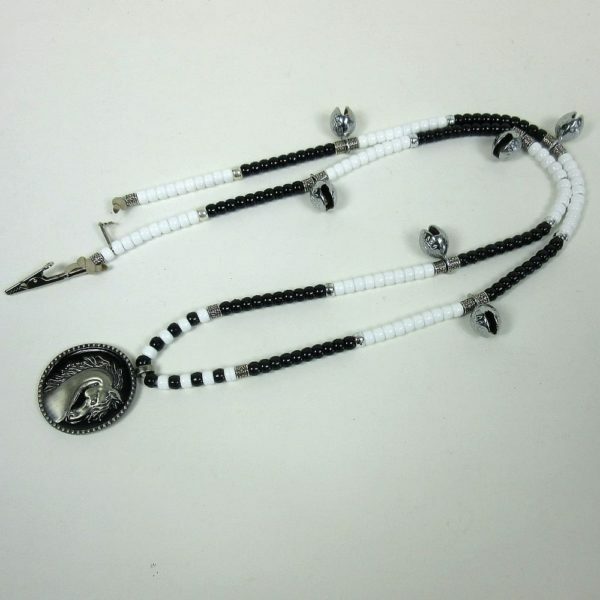 These SteedBead rhythm beads for horses feature chromed temple bells, black and white pony beads, and a pewter horse head pendant. These SteedBead rhythm beads for horses feature 6 large round chromed brass temple bells and an embossed round pewter horse head pendant. 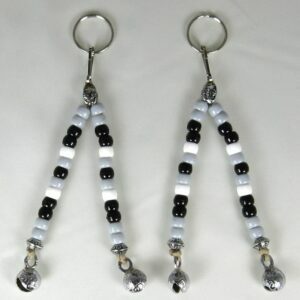 Metallic embossed silvertone accent beads and solid black and black and white acrylic pony beads form a pleasing pattern. 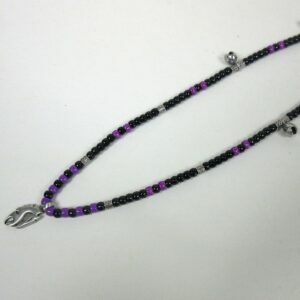 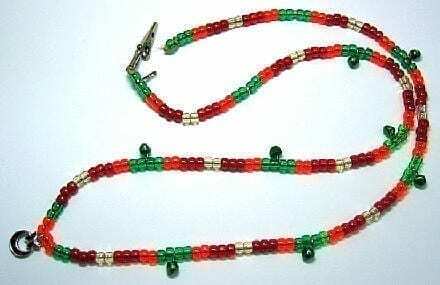 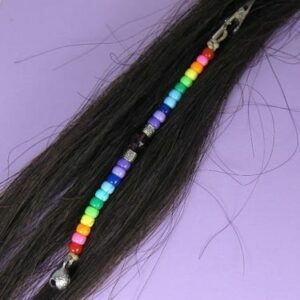 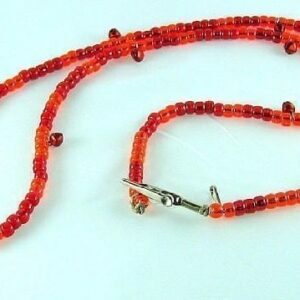 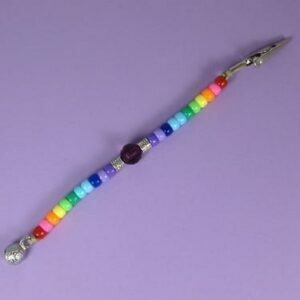 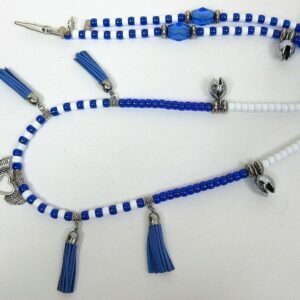 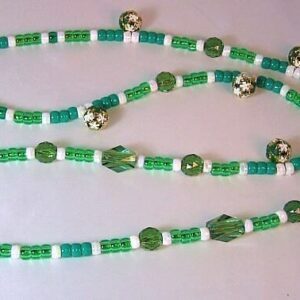 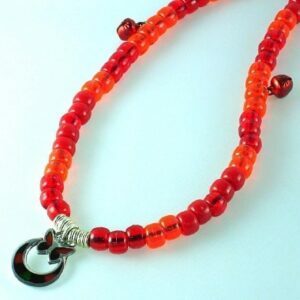 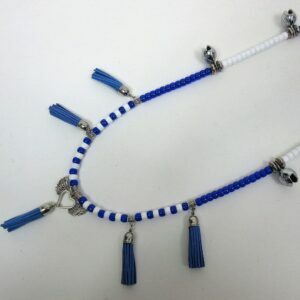 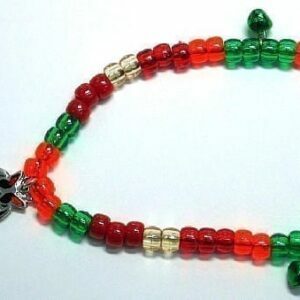 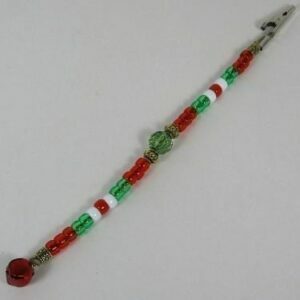 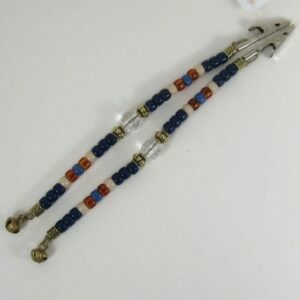 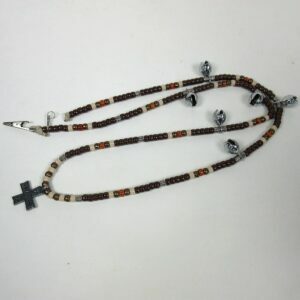 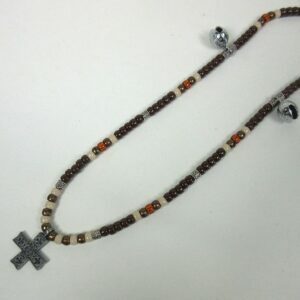 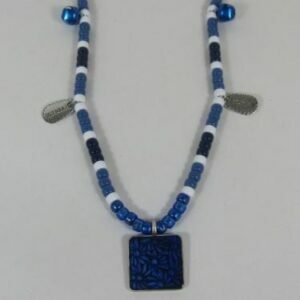 At 52 inches in length, this set of SteedBeads will fit a larger than average size horse. 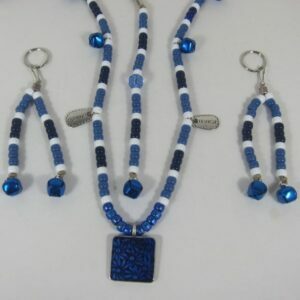 See the Size Guide for details.